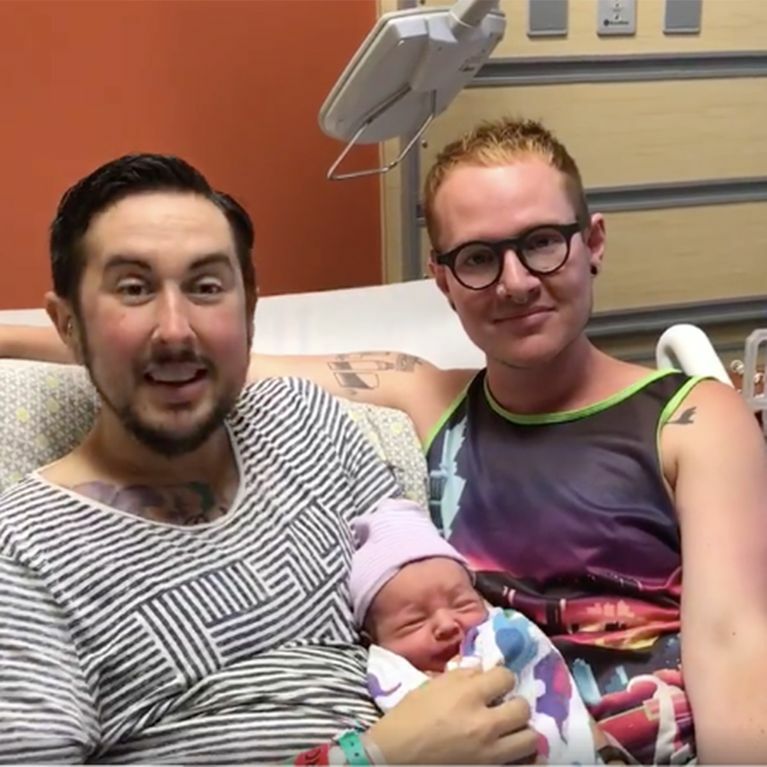 A transgender man from Portland in Oregon, has given birth to his first baby. Trystan Reese, 34, was born female but has been taking hormones for 10 years. He and husband Biff Chaplow documented the pregnancy on social media in a bid to encourage acceptance and challenge the stigma surrounding transgenderism. In a video posted on their joint Facebook page, Trystan explains what being trans means to him and that transitioning hormonally - for example, taking testosterone and making body modifications such as tattoos and growing a beard - was always enough for him. "I never felt like I needed to change my body. And I for sure don't hate my body. I feel like my body is awesome and that is is a gift to have been born with the body that I did, and I made the necessary changes so that I could keep living in it," he said. "I have never wished or wanted to be assigned male at birth... and I've never wanted my body to be different so if you can understand that then it starts to make more sense that it would not seem totally bizarre for me to want to create and carry a baby. "I'm okay being a man who has a uterus and who has the capacity and capability of carrying a baby." In the latest video post on social media, he can be seen holding his happy and healthy newborn son, Leo, alongside husband Biff and saying, "The next time someone says men can't have babies show them this video." The couple have already adopted two children but baby Leo is their first biological child together, and what a beautiful addition to their family he is! Do you have any real life stories to share with us? Tweet us @SofeminineUK!